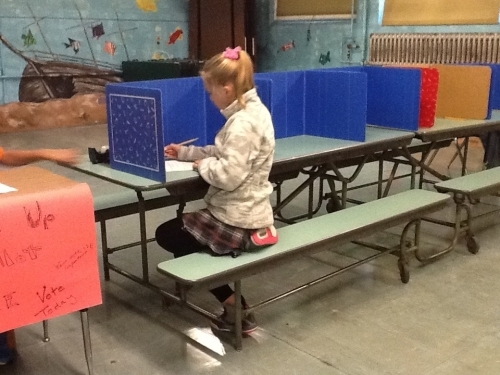 Student Council elections were held on October 22, 2014 at Riverbend School. Gabby W., a 4th Grade student, shown below was the last student to vote in the Student Council elections. This entry was posted in ElementaryGuidance. Bookmark the permalink.